Whether it’s Friday/Saturday night or Sunday morning brunch, this Classy Oyster Gin Caesar is just what the doc ordered. No lie, I love gin and I usually ask for it in replace of vodka. 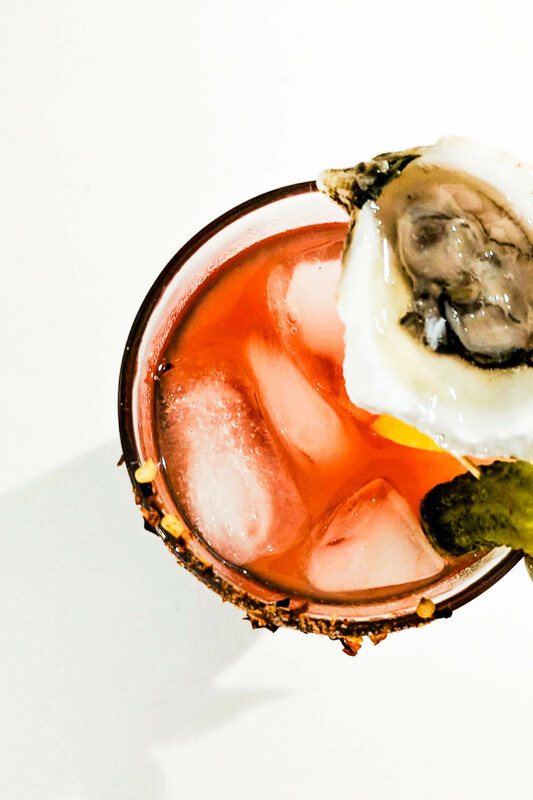 Even the local bar we love, Lord William, knows that when my boyfriend and I walk in we both want a Free Willy Caesar made with gin – and yes, Free Willy Caesars come with an oyster on top and are the inspiration for this awesome drink recipe. Now I don’t know what they use for the rim of the glass, usually in a caesar, it’s celery salt. At Lord William, it’s way more than just celery salt but I don’t know what the more is exactly. So for the TBC Classy Oyster Gin Caesar, a mix of celery salt, chili flakes and chili pepper is used. Back in my Quebec Gin post, I explain that Ungava would be a great gin for caesars. It’s a great all-around classic gin that goes great with any pairing. But for this recipe, any gin you have on hand will do! I wouldn’t go using gins that have interesting undernotes though, you will not taste them through the clamato juice! 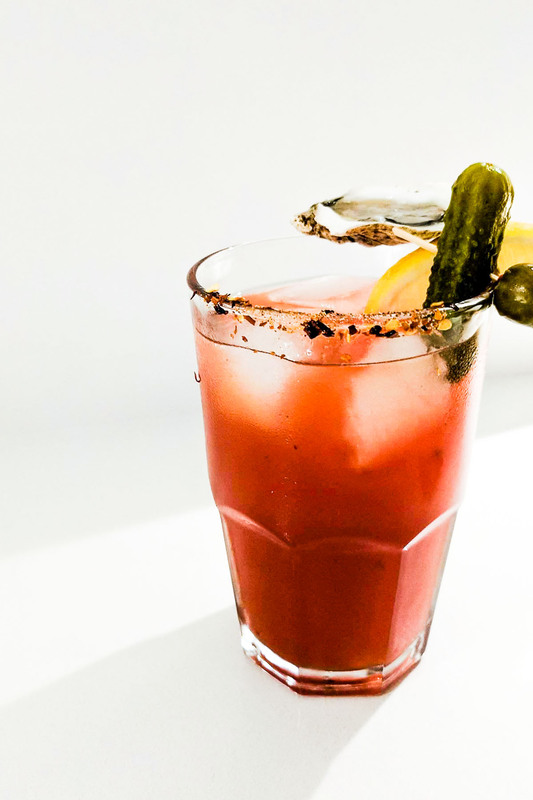 I love my Gin Caesars and as I write this post I really want one! Also, I’m sorry for the ultra-short post – I have been sick this week with a head cold, adjusting to my first pair of glasses and the reality that I’m not seeing in HD without them, came up with (what think is an awesome) Greek night supper menu, had no AC at work for the first half of the week, AND I am executing one of the biggest experiments in the lab to date! Whether it's Friday/Saturday night or Sunday morning brunch, this Classy Oyster Gin Caesar is just what the doc ordered. 2 oysters but buy more for your enjoyment or for seconds! Start by shucking the oysters, if it's your first time make sure you have an oyster shucker and that you buy more than two in case you crack the shells. There are a ton of videos on how to do this online, just search! On a plate mix the celery salt, chili flakes and chili powder. Rub a lemon slice on the rim of two highball glasses and coat them with the mixture. Add ice to the glasses. Add 2 dashes of hot sauce and 4 dashes of worchestire sauce to each glass (more if so desired). The add 2 oz of gin and 4 oz. of clamato to each glass and stir. Garnish each drink with a skewered pickle and olive, lemon slice and oyster.